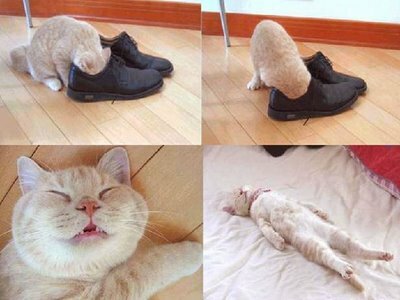 Ultra cool Fun: 5 tips to fight BAD foot odor? More than half of men (and their wives and lady friends) complain about foot odor. Yes, some people have difficulty with fungus or bacteria production, but usually, people just don’t wash them well enough, reasoning that "I'm standing in the shower, with soapy water running over my feet, that's good enough." Clearly not. With all the nooks and crannies, you simply don’t get rid of odor-causing bacteria - and that is what causes odor. You brush your teeth every day – wash your feet. Step 1 - First, scrub’em in the shower, tops and bottoms, with a bath brush preferably, a washcloth at least. You can try a deodorant soap, but the trick is to get rid of the odor-causing bacteria. Step 2 - Spend time on each foot, getting in between toes, hitting every surface. The rule of thumb for washing bacteria off hands is to wash for 30 seconds, or two verses of "Happy Birthday." Use three verses for your feet. Step 3 - Wear cotton, silk or wool socks, as much as possible. Synthetics don’t breathe, and promote moisture and bacteria. Step 4 - Put a dash of baby powder, or talcum, or maybe Gold Bond powder in your shoes when you take them off. The powder absorbs the moisture from the day’s wear, and from your feet the next time you wear them. Step 5 - Lastly, if you still get odor – use a simple spray deodorant. Spray deodorant works by inhibiting bacteria growth in your armpits, it will do the same for your feet. The specialized foot deodorants aren’t usually necessary. You’ll be surprised and delighted how well this works.